Oh, what might have been! Back before Ben Affleck broke the Internet, we learned that Vin Diesel was going to follow through on his inevitable career trajectory and voice Groot, a large alien tree, for Marvel’s Guardians of the Galaxy. But did you know that Diesel actually met with Marvel about another property entirely? Well, he’d like to tell you about it. What we were initially talking about was a fresh IP [intellectual property], and that was the focus of our conversation — a fresh IP that would come out in 2016 or 2017 and potentially launch the third phase. So Diesel was supposed to be one of the anchor points of the Phase Three Marvel films, but that’s apparently fallen through due to scheduling conflicts. He does not say what character he was going to play, though, leaving us all to wonder at the possibilities. He also doesn’t entirely rule out the possibility of a Phase Three film sometime in the future, but rather admits that the Groot role opened up because Marvel wanted to get him into a part quickly. So what part could he have taken, and will he take it at some point in the future? After all, Groot will be an animated character, so there’s no reason why Diesel couldn’t take on another live action part. 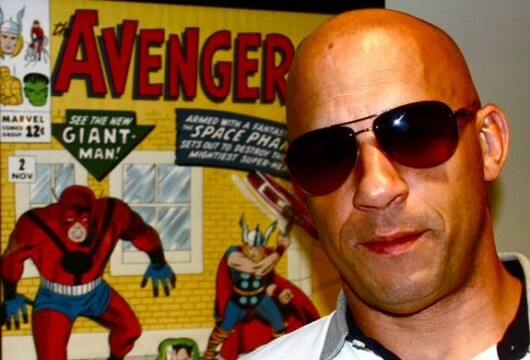 In the end, it will all be speculation as to what role Marvel originally wanted Vin Diesel to play. We will likely see him as Groot in Guardians of the Galaxy, alongside a talking raccoon and Glenn Close. If that isn’t weird enough for you, then I don’t know what is. Guardians of the Galaxy hits theatres August 1, 2014. You check out Diesel’s interview with THR below and let us know what you think in the comments.